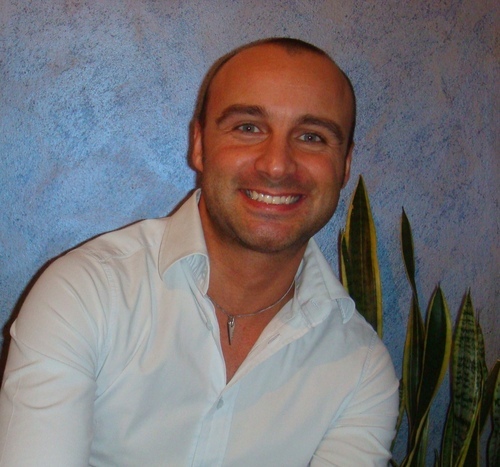 For this week’s article, on starting an email marketing campaign, I’m delighted to welcome Erik Emanuelli as my guest author. Erik is a professional blogger and social media marketer. He loves to skydive and work on http://nopassiveincome.com (but not at the same time)! Erik and I have worked together on other ventures, and his articles are always informative and enjoyable. He’s bang up-to-date with current Internet Marketing trends, so – as email marketing is an important part of the training I’m following – I’m really pleased to hear his thoughts on the topic. And you thought email marketing was dead? A new study suggests that companies will spend more of their budgets and time on email marketing initiatives this year. Areas that have garnered particular interest from businesses include mobile open rates, content and user experience and strategic development. The study revealed that email marketing is a top priority for United States companies in 2016. Eighty-six percent will increase their email marketing budgets, while 71 percent will spend more time on email marketing production. Business have fallen in love with email marketing again. Contrary to popular belief, email marketing is alive and well. It hasn’t faded into obscurity and it hasn’t been given its last rites. Email marketing is a whopping 20 years old, but it’s still young. Do you need more proof? According to a report from Econsultancy, marketers describe email marketing as “excellent” or “good” when it comes to returns on investment – studies have shown there’s a 4,300 percent ROI for companies that employ email marketing campaigns. The marketing website also found that businesses using email marketing are under budget. You’d think that email marketing would go the way of dialup and AOL’s iconic “You’ve Got Mail.” However, due to a variety of factors, email marketing is thriving in today’s environment. In 2015, the total number of emails sent and received globally were more than 205 billion. We receive dozens of emails per day, and a lot of it is just junk. But you know what? We check our emails every single day, sometimes multiple times per day. In fact, 92 percent of online adults use email, with 61 percent using it on an average day. 44 percent of recipients bought at least one item last year based on a promotional email. Email subscribers are three times more likely to share your content on social media than visitors from other websites. You are six times more likely to get a click-through from an email marketing campaign than you are from a single tweet. A third of clicks within an email take place on a mobile device. Half of email subscribers spend as much as one hour perusing marketing emails each week. These are all valuable statistics that prove email is very popular and lucrative for brands. As previously noted, email marketing generates a tremendous return on investment. It was reported in 2015 that a fifth of companies discovered an ROI of $76, which was three times more than the previous year. Essentially, for each $1 spent, email marketing creates $38 in ROI. 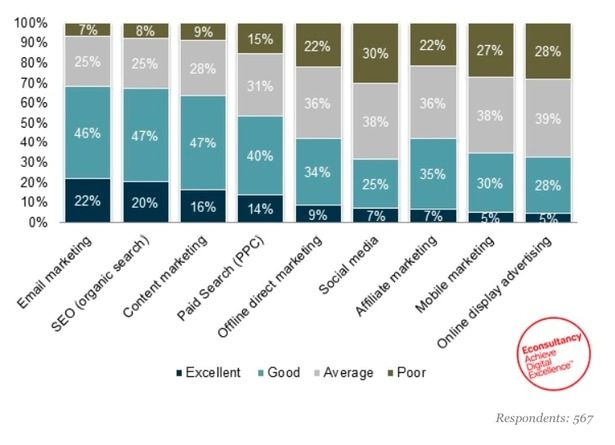 An Econsultancy survey found that email marketing was ranked as the best channel when dealing with ROI. More than two-thirds (68 percent) rated it as good or excellent, which represented a three percent jump. On average, U.S. companies have attributed one-quarter of their total sales to their email marketing initiatives. Why do sales go up immensely? Well, it may have to do with the fact that consumers who purchase products that were marketed through email spend roughly 138 percent more than individuals who do not receive email offers. These are big numbers for businesses, especially in a marketplace where consumers are a lot more wary about spending their dollars. Simply put: email drives sales. Due to the advancements made in email marketing technology, marketers are coming up with an entire host of brand new tactics and channels to market products and services. Some of the tactics consist of producing compelling and relevant content, personalizing emails, using analytics and mailing tools, integrating email with other tactics (social media or mobile marketing). Now that you have been given the reasons why email marketing is flourishing, you may want to launch your own email marketing campaign. You should never just launch an email marketing campaign without a strategy, without precise knowledge ahead of time. Prior to going all in, you’ll have to determine your goals, find out who your target audience is, how your content will be created and, most importantly, what is your budget. These are important factors to consider when constructing your email marketing. First off, never buy a list. This just spells trouble. It may not be updated, it may be spammed, it may have been built without the consent of its recipients. Suffice to say, just ignore buying lists. Install an opt-in form on each page of your website and social media profile. Start and maintain a promotion on a partner website or email newsletter. Leverage the power of social sharing. Encourage others to act as your brand advocate (this comes with good content). Offer an incentive for signing up for your email list. In order to build a large and effective list, you should offer your subscribers something of value, otherwise known as a value proposition. This could consist of offering a free ebook, sending out weekly newsletters, providing monthly discounts and promotions and even spotlighting your customers who regularly engage with your brand. Lastly, since about half of our emails are checked on a smartphone or tablet, you have to ensure that your email messages are optimized for mobile devices. This could include limiting the subject line characters to under 30, using limited imagery, writing a clear call-to-action (CTA), having enough clicking room and getting straight to the point. Erik’s article just confirms what I have read elsewhere. And certainly I check my emails several times a day, and have made purchases based on emails – in all sectors, not just Internet Marketing. So I’m really pleased to see that Erik has researched and presented facts and figures confirming that starting an emailing marketing campaign is still a sound decision. What do you think? Please share your comments on your own email marketing strategy. So good to see you here man and thanks for such a revitalizing post. According to Radicati Group, in 2015, around 205 billion emails were sent per day, though 90% of these message were but spam and viruses. That means however that about 20.5 billion genuine emails were sent per day. This is such a figure to convince anyone that email marketing isn’t dead. Going by my personal experiences, no one can talk me into thinking email marketing is dead. What might have died is the way we used to do email marketing. In those days, you could add attractive figures to subject lines and cause people to open. Today, if you do something like “How to make $100,000 in 24hours”, trust me most email services are going to spam it. And if that succeeds to get to my inbox, chances of me even opening it are so so slim. So if we go by the changes, we can still get a lot from email marketing. The main problem today however is deliverability. Most of the mails we send end up not being delivered to inbox. This is as a result of many factors including the platform we use. I have discovered that most cheap email marketing platforms are unable to deliver your campaigns straight to inbox. Though spam filters scan the email subject and body to determining whether it’s spam or not, the sender ID and other header elements can betray your campaigns. Which email marketing platforms do you use? Where have you found the most exciting open rates? 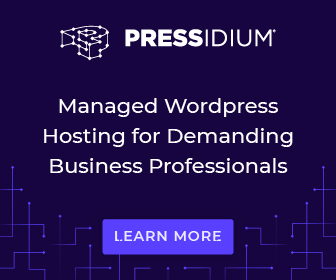 I’ve chopped and changed email marketing platforms several times and finally settled on GetResponse, because I think they have the edge of features for the price. I’ll be honest and say that at one time I was with GetResponse and switched to Aweber (because it was compatible with some training I was following at the time). There was nothing wrong with Aweber and I liked it. But I just kept missing features that I knew were in GetResponse, so I switched back. And you’ll appreciate that the consequences of changing your auto-responder “mid-stream” are enough to make anyone think twice before doing it. I’m very bad in that I haven’t really compared open rates, but I know for a fact that with (an earlier) auto-responder my emails were going straight to junk and I can say hand on heart that they weren’t spammy, because I don’t write like that. So I’m certainly getting better open rates with GetResponse than I was with the earlier, cheaper, system. I’m sure you are doing great with email marketing and thanks for sharing your insights. It’s all about relationships, right? You don’t have to treat your subscribers just as a way to make money, you need to build a relationship based on reciprocity. Honest and real, as if your contacts were actually your friends. Deliver quality content, and from time to time, offer relevant products and services. I used Aweber at beginning of my online journey, now I like GetResponse. They provide everything you need to create successful newsletter, included landing page and a webinar service. I think open rates are directly correlated to content. And if you offer free stuff, or promotiosns, that increases the chances to get more opening. Thanks for checking the post, my friend. Thanks for the valuable information. Your posts affirms my thoughts with email marketing. I am sure I check my email more than once every day. In fact I would say email is the place I purchase my products. I will practice better email marketing after reading your very informitive and motivating post. I agree, I’m one for purchasing from email too. Good to see stats that back it up, and that we can feel it’s worth our while spending time on email marketing. email still works very well as a form of direct communication, right? Email marketing can be very effective, if done the right way. 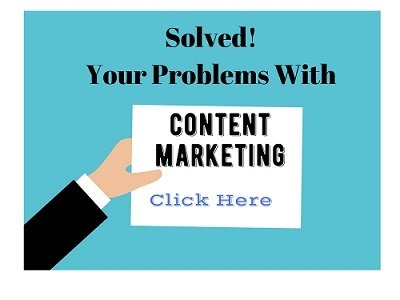 Provide excellent content, create solutions to problems, satisfy needs and from time to time offer relevant products or services! Generally I think email marketing would be a tedious job. Also I never liked to do that. Through your article I get to see the importance of Email marketing. Now I’m thinking of starting one campaign. I have to confess email marketing isn’t my favourite job, but after reading Erik’s article I must start paying more attention to it. good to hear this post informed you well about email marketing and invited you to start your own campaign. Be sure to follow these tips and good luck with that! It is true that still E-mail Marketing generates good number of leads. Need to follow these steps also. Moreover your e-mail should be mobile friendly and it should not be a spammy e-mail. indeed, email marketing still works! Of course you must do it the right way, without overdoing in self-promotion, so to avoid being labeled as spammers. It’s hard to get new subscribers, easy to lose them! Thanks for sharing your views here at Joy’s blog. Hey Eric, thanks for motivate us for working with e-mail marketing, nice points you suggest here for campaign. Great to see you here on Joy’s place. Email marketing is a must in business. It does take some savvy marketing practices, but it works. I believe I spend more time on my email engagements that are on my lists than anywhere else. If they sign in…they are golden. And the ROI is amazing. But I always say in every sales copy to “white list” the email so that it doesn’t end up in spam. When people do that, it is no problem. Plus the headlines cannot say certain words like make money fast…that sort of thing. It has to be personal to get through. Just wanted to jump in and thank you for that reminded to ask people to white-list my email address. It’s something I started doing but have probably forgotten to do of late, so well-worth going through my lists again! Interesting to hear you say how much time you spend on your email engagement. Something I need to work on – although when anyone replies to an email I’m sure to follow it up. I’m also using GetResponse. Hmmm – I wonder? it’s a big pleasure to be here at Joy’s blog. And it’s really affordable too. Regarding email deliverability, that’s strange you’ve issues with GetResponse. They have a high percentage. Have you tried working on the headlines? Thanks for checking the post and for leaving your comment, Donna! It’s Really nice to see Erik, here at your place. He is a very good marketer and always shares something useful and important. And even in this post of your’s, he has shared some of the important tips. Thanks to you for allowing him to share his useful information. And Also thanks Erik for writing such an valuable post. Thanks for the kind words, Robin. I hope the insights in this post can help you improve your email marketing. Glad you enjoyed Erik’s article. I think we’ve all learned a lot from it. What a timely post for me. Email marketing is a constant challenge for me especially re delivery. GetResponse is the platform I use and they have been very supportive. However, in recent times some of my emails although seen to be delivered are simply not being seen by recipients. They are either caught in spam filters despite all the care I take with the content and links used OR they just disappear into some internet blackhole. Have checked IP and domain name reputations and blacklisting but no concerns there. Bloomin’ mystery. I really enjoyed the 4 step email marketing campaign approach and will be sharing this valuable post. Thanks Joy for having Erik share his expertise with us – very much appreciated. And yes, email marketing is a never-ending journey. It’s a matter of seconds to lose a subscriber, but it takes a lot of effort to gain new ones. So I think quality content is the key, together with respect for your users. I believe that treating them as “real people” makes you behave the right way. I mean, without over selling. Regarding email deliverability, do you see any common pattern for those messages not delivered? Nice to see you here on Joy’s blog. Excellent post about email marketing, well the most significant point is how one can utilize our whole efforts and what strategies are involved for better email marketing. 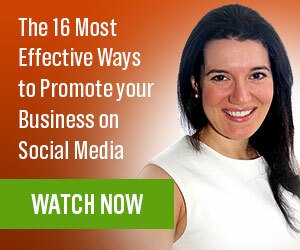 There are many well known marketers who’ll get benefit from their huge lists. Its all because they know very well that money is in the list. They know the art of using their lists in a way which help out to earn some good money consistently and how to use their lists nicely and effectively. You have shared some great tips for starting a campaign. Thanks for visiting and reading Erik’s great article. His thoughts, and people’s response to them, have really made me re-think my whole online business. I don’t have a huge list, but I do have a list and it seems to me that I should be implementing the advice I’m reading on my own blog! Think of those having thousands of subscribers! But it really takes time and constant work. In other words, a kind of investment of your time and money, most of all at beginning. Thanks for sharing your views, and have a good week. It is well said that any business runs on one foundation i.e.- relationship. It is better to have a few loyal customers rather than hundreds of unworthy customers. It is sad that Marketers don’t use Email Marketing as much they use Social Media Marketing. Email marketing provides better result than Social media. It is likely to occur that your post may be unnoticed by the users on Social media. 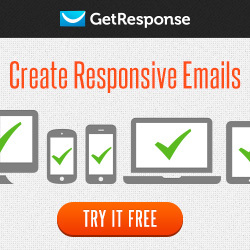 It is 5x more chances that your response is seen by user on email than social media. Sending email personally helps you to build trust and healthy relation between the organization and customers. It will help you to regulate your business more smoothly. Thanks for valuable and informative tips. I’m pleased to see you adding weight to the email marketing side. I will admit that I’ve probably put more effort into social media marketing than email marketing, despite the fact that email marketing has given me far better results (even done badly). Very silly on my part! I’m actually more comfortable with email marketing than social media, so I think it’s time I stopped being led astray and spend more time on email marketing. Thanks for confirming what I’ve been moving towards thinking for quite a while now. In life, as in business, the relationships built are really important. They can make the difference from being successful or failing. Thanks for sharing those statistics, really interesting. As a social media addict, I see good results from my social work. I guess it’s not just me! Joy, thanks for giving Erik the floor to explain and expand on the role of email marketing in today’s marketplace. Good post, Erik. Big surprise for me was the # of people accessing email via phone, something I rarely do. Good advice about email campaign strategy too. I’m sure the number of people consulting their emails from mobile will keep increasing in future. It’s definitely really important to optimize your newsletter for mobile if you are doing email marketing. I appreciate your comment, have a good one. I agree with the point. Almost, everyone uses the Internet nowadays and people check their email every day. Email marketing can boost the business for anyone. The main thing is to do it the right way. People don’t subscribe because they have experienced the spammy emails. No one wants to get spammed. The first thing is to build an online reputation so that people can trust you. After that provide the best content to your readers. Sending email on the daily basis may offend yur readers. So it’s better to do it once or twice a week. All reasons mentioned by Erik are worthy to agree. email marketing is something every small or big businesses should use, as part of their marketing strategy. You’re right about doing it the right way. You mentioned all valid points. Thanks for visiting and commenting, Ravi. For sure, email marketing is alive and well. Just like e-book marketing (they said that one was dead too), email marketing if used correctly is a winner. I’ve lost count of how much money I’ve made over the years as a result of sending emails to my modest list. Enstine made a point about deliverability. This has become a big issue in recent years. So choosing the right provider is an important consideration. But we also need to be careful about our content, if we want our emails delivered. Anything that smacks of get rich quick, will be flagged. I’m glad you agree with Erik. I’ve been diverted (unprofitably) into spending time on Social Media when I think email marketing would be a better medium for me. I know many people do well with Social Media so it does work, but I don’t think it’s right for me, especially given the limited time I have available. So I’m going to commit more time to email marketing from now. I know I need to work on my content, but that’s something I will enjoy more (and therefore not put off!) than Social Media. Erik’s post, and everyone’s comments, has been a real eye-opener for me. it’s nice to hear your good results with email marketing. I would not stay subscribed to a daily newsletter, even if really interesting. That’s way too much for me….of course, this is just my point of view. I think one or two emails per week is the right balance. And yes, with relevant and great content. Thanks for your comment, Kim. Point 3 for me is the real key! Most just like to blast links & offers all day long. Instead offer value to people so that they can gain something out of being on your list. The value lies in the relationship built with that list. And it ain’t gona happen by spamming them. Only in providing value which builds your like know trust effect! I agree, it’s all in the relationship building. I really hate being blasted with email after email, but regular, value laden emails are always welcome from people I feel some connection with. The others get unsubscribes, or – if there’s no unsubscribe link – junk! In email marketing, as content marketing, providing value is the key. And I will never be tired of saying that I love building relationships with my readers, or subscribers, or bloggers I met online. Thanks for sharing your views, Sam. So glad you invited Erik to your blog as a guest poster. Email marketing is indeed crucial for businesses. I’m happy to see he mentions giving an incentive to the email subscribers. Many people miss that when they start list building and wonder why they’re not getting anyone to sign up. A simple checklist or short ebook works wonders and if they’re feeling a bit more creative a video training works wonderfully too. Glad you enjoyed Erik’s article. He’s a great writer. I have to confess I had let my (regular) email marketing slide a bit. I was still collecting emails, with a free incentive and follow-up series, but beyond that not doing much more than alerting subscribers to each new blog post. I suppose I’d seen too many “email marketing is dead” type articles and that had discouraged me. However, reading Erik’s article and remembering that many of my online purchases come as a result of email, has encouraged me to have a rethink and experiment with contacting my list more frequently. One of my problems was not knowing what to say to them, but in the training I’m following we get daily “bite-sized” marketing tips, so I’m paraphrasing those as newsletters twice a week. It will be interesting to see how it works out. glad you enjoyed the reading and thanks for the kind feedback. Marketers seem to forget that building a mailing list is like building relationships. Treat your subscribers like friends, with respect, and you will be right on your way to create a massive newsletter. Email marketing is far from dead, but for ecommerce it should be a must. If you have an ecommerce it’s very possible that you have lots of data about your customers, that the average email campaign hasn’t. For example what they like and what they don’t, based on their previous purchases, with only this you already have an amazing tool to enhance your email campaigns. That’s a really good point. I personally haven’t got such ecommerce data stored anywhere but “in my head”. Larger organisations should take note of your advice and I know there are tools that can take advantage of this to link into your email marketing strategy. Some auto-responders have the ability to segregate lists based on actions taken and that’s a tactic that smaller businesses, such as my own, can use. Thanks for visiting and raising an excellent topic for further discussion. aaah, e-commerce, that’s one online business I still miss and I want to get into very soon! Crucial is finding a profitable niche, not already crowded. You’re right on using email marketing for ecommerce businesses. Targetization, segmentation and personalization are keys here. Nice to see you here at Joy’s. I did not really emphasize much on email marketing earlier, but I have certainly come to terms with the nitty-gritty of it and one thing that I can confidently say is that email marketing obviously isn’t dead! Email marketing if done with the purpose of providing value to the readers, can help you in the long run. I follow a lot of fellow bloggers and I have to admit that some of them excel at this. Thanks for sharing this excellent resource with us. I have taken down some pointers and will definitely apply them in my campaigns. Glad to see you at my blog. I have to confess that my email marketing had lapsed a bit of late – I’ve been trying to get to grips with social media marketing, and there are only so many hours in the day! Reading Erik’s post has re-enthused me for making better and more valuable communications with my subscribers, and I’ve already started! so glad you confirm my points and you understand the importance of email marketing. I really appreciate your kind words and thumbs up! Thanks for writing and sharing such a well written post Erik! definitely need all types of help, with their email campaigns. Opens the door pretty wide, to a world of copy writing opportunities. Thanks for sharing such an in depth and extremely eye opening post Erik! And thank for featuring him Joy! Glad you found it a useful post. Copy writing is an extremely well paid skill! It was a real pleasure to have Erik writing for my site. email marketing is far from being dead and the popular bloggers know it very well. It’s all about building relationships, in my opinion. If subscribers trust you, then they become your most popular fans. Hi, Have you write any blog on how to start email marketing? I just wanted to know. I am keen to learn email marketing but, I have no idea about from where to start. I can recommend this course on email marketing that I reviewed by my friend James McAllister. Another approach – although possibly not as fast – is to just take a free trial of GetResponse and follow their training videos. Its been a year in blogging and just reached the 4000 subscribers mark. But still not finding how can I use email marketing for my benefit. How can I plan a campaign? When you take a free trial of GetResponse you will be walked through some training to get you started with an email campaign. Nice post erik. Welcome in the joyhealey’s world as a guest author. Email-marketing is not dead because 61% of customers like weekly emails and 29% want them even more frequently. 58% of adults check their email first thing in the morning. Email marketing is still alive. Encouraging stats for email marketers. Email was never dead. As a marketing technique it’s always generated more ROI than almost anything else. It was declared dead awhile back because social media exploded and everybody thought that was going to be the new thing. Hi Joy mam, Email marketing works better as it reaches all the people and they definitely check it if the subject is strong. Thanks for sharing. Hi Joy Thanks for introducing Erik on your page. Popular bloggers know full well that email marketing is not dead. I had Aweber for a few years, then tried Get Response and even the free Mad Mimi and Mail Chimp. Now using Constant Contact with I like. Thanks for sharing great info Erik. I’m being a bit more disciplined after Erik’s article LOL. When I see how big brands like Virgin (to name just one) email me week after week, there must be something in it. Well – I know there is, from my own experience. Must confess I flitted about a bit before finally settling on GetResponse as the best value auto-responder for my needs. Glad you enjoyed Erik’s information. What a wonderful reminder about the value of email marketing. Sometimes I feel so overwhelmed by all the emails that I just start deleting. But even among those, I may suddenly see something I want and purchase it. The point of email marketing is to keep yourself in front of your target market and to help them to know, life and trust you over time. Some marketers have huge systems in place. As soon as I purchase something from them, I see their ads on my Facebook page. Even though I find that annoying, if I value their products I will purchase again. We often have to see something many, many times before we purchase. Using your email messages to remind people about the great work you do and the good products and services you offer, gets them to finally decide to buy. I agree, there are some emails I unsubscribe from pretty fast, and others where I stay on the list because I feel I have had value in the past. I’m mainly using my auto-responder now to keep people engaged with my blog posts. Thank you for this valuable post! I’m brand new at email marketing and need to learn all I can!